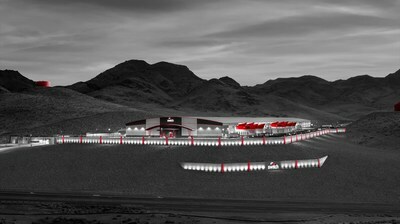 Switch Named an AI-Ready Colocation Data Center Partner for NVIDIA DGX Systems - Union Switch & Signal Inc.
Press Release from Union Switch & Signal Inc.
LAS VEGAS, Jan. 30, 2019 /PRNewswire/ -- Switch (NYSE: SWCH), the global technology infrastructure corporation that develops hyperscale data center ecosystems for elite colocation, enterprise hybrid cloud and connectivity solutions, today announced that Switch data centers have been selected as a preferred, AI-ready provider for the NVIDIA DGX-Ready Data Center program. The program offers a qualified network of AI-ready data center solutions for NVIDIA customers running GPU-accelerated products, NVIDIA DGX-1 and DGX-2. Switch (NYSE: SWCH), the technology infrastructure corporation headquartered in Las Vegas, Nevada is built on the intelligent and sustainable growth of the internet. Switch founder and CEO Rob Roy has developed more than 580 issued and pending patent claims covering data center designs that have manifested into the company's world-renowned data centers and technology solutions. Read more about the NVIDIADGX-Ready Data Centerprogram.